LC Foods is pleased to announce its new official association with renowned Low Carb Chef, Author and Advocate George Stella. Mr. Stella will collaborate with LC Foods on recipes, web content, customer interactions, promotions, marketing ventures and other initiatives. As part of the new collaboration, Stella will be creating several new Low Carb recipes. He’ll also repurpose many of his classic menu items to draw from the nearly 200 low carb, diabetic-friendly, gluten-free and Paleo-friendly LC Foods products. Additionally, George will contribute blog posts, articles, guidance and interaction with LC Foods customers. The two organizations will also work together on public appearances and promotional activities. 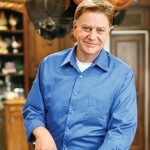 George Stella is a renowned celebrity chef and author, noted for his commitment to the low carb lifestyle. An author of five Low Carb cookbooks and host of the legendary Food Network TV show Low Carb & Lovin’ It, Mr. Stella has been recognized as a leader in the low carb movement for well over a decade. His career as a celebrated chef reached a crossroads in 1999, when his weight peaked at 470 pounds. Facing the prospect of a shortened life and seriously diminished quality of life, George took it upon himself to develop numerous naturally low carb recipes. Over the course of time, George, his wife Rachel (who is an accomplished baker in her own right), and sons Christian and Anthony lost a combined total of over 500 pounds. As a result of his career accomplishments and culinary point of view, George and his family were featured on a recent TV episode of Dr. Oz. He has also made frequent appearances on leading television networks (CBS, CNN, FOX) and has been featured in several magazines and newspaper articles. George is also Spokesperson for the Junior League’s Kids in the Kitchen program. 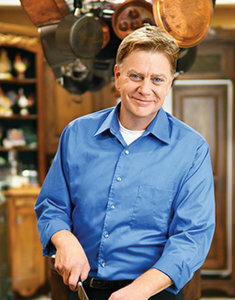 Learn more about George Stella at http://stellastyle.com.